Group and private dining guests have a variety of unique, beautiful room selections to choose from depending on their group size & style of their event. 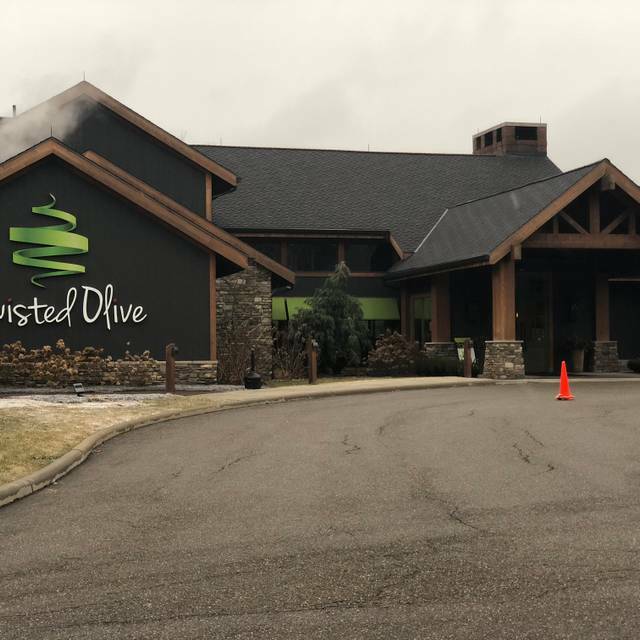 The Twisted Olive Italian American Kitchen is a 16,000-square-foot property set on 10 acres of land and encompassed by the the lovely Southgate Park and federally protected land. It will be part of a family-oriented getaway with multiple dining areas, including spaces for events and private dining. 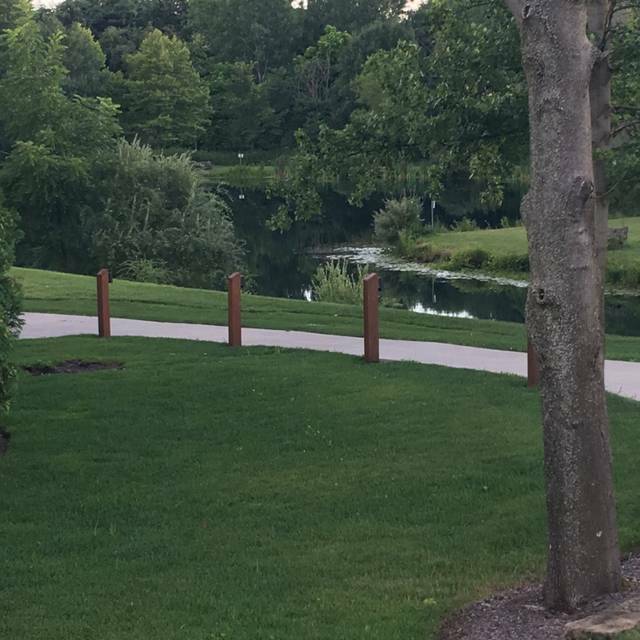 A sister property to Gervasi Vineyard. The food is always delicious and the service is wonderful. My wife and I went to The Twisted Olive for a date night. We were promptly seated and received excellent service. 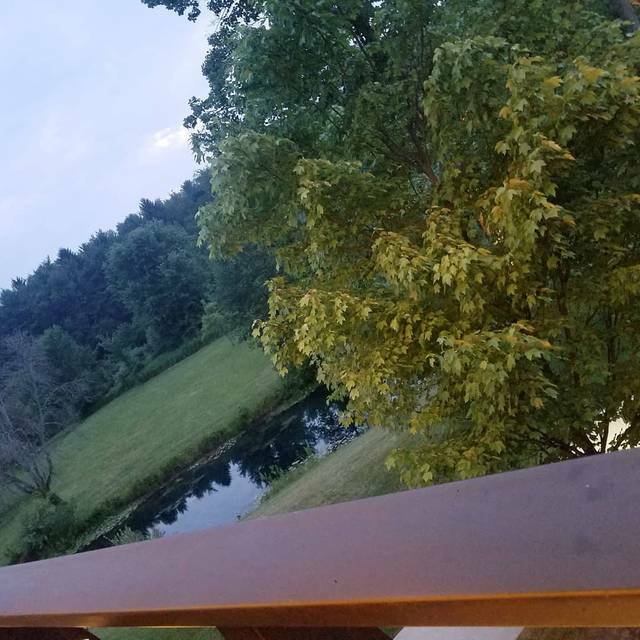 We had a table overlooking the lake. The food was outstanding. My wife had the braised beef short ribs and I had the filet mignon. The meat was cooked perfectly. I would highly recommend visiting this restaurant. Fantastic food, view and service. The wine selection is amazing as well. I enjoy the naked chicken meatballs with marinara almost every time we visit. The salads are always made with nice crisp lettuce which is very important to me. My husband tried the meatball rigatoni and he really enjoyed it and would get it again which is the test. Overall it was a very good meal except for the fact we were not able to see the lovely grounds from our seats. My only other complaint is that they charge for club soda which is just water with carbonation. We will visit again! Date night! We went and had an amazing time! We really enjoyed our meals and the cocktails we had at the bar downstairs beforehand. It was very busy, so the restaurant was loud, but it was a fun energy. The food was delicious and the service was great. We’ll definitely be back! This has always been a good restaurant. The food is always of high quality and consistent. Prices however are going up. My biggest complaint was that the parking lot was full except for a large portion sectioned off for valet parking. Although it was "complimentary" the valets do get tips. This is a way to force people to use the service whether they want to or not. Great service and delicious food. Brought friends that had never been there and they were very impressed. Service and did was excellent! Will be back very soon. The food and ambience were excellent as usual. Service was outstanding. This was not our first experience at The Twisted Olive. We met some friends for lunch, and the food and service were outstanding - as usual. 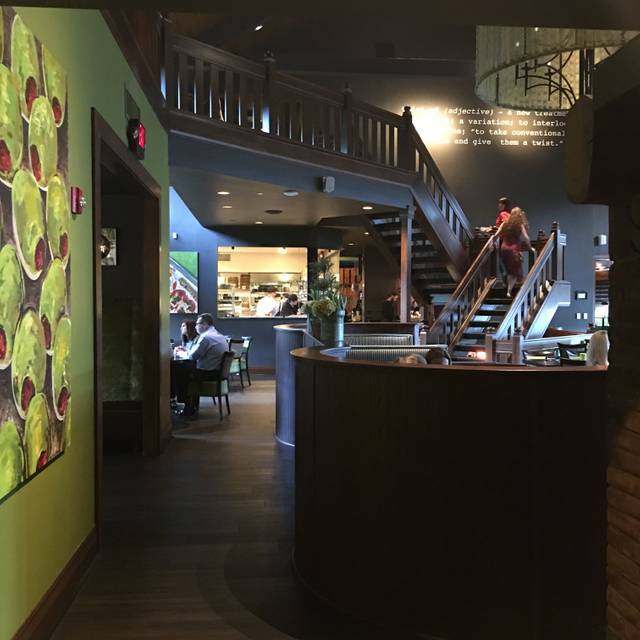 We will definitely continue patronizing The Twisted Olive. We were seated at the very first table so you couldn't get a true appreciation for the ambiance. I have been there previously and felt the two couples that joined us and had never been did not get full appreciation of the restaurant/bar/property etc. I love Twisted Olive and will definitely be back. 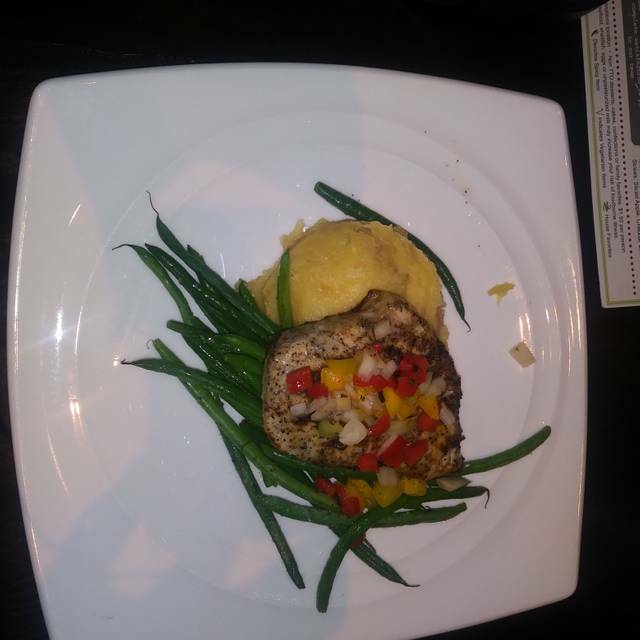 We have eaten at Twisted Olive several times and have enjoyed wonderful food and service. Portions are large. I requested a window view and was given this on arrival. Great place to have a special meal. Booked this restaurant online and marked “anniversary”. They went above and beyond by giving us an amazing table and a small dessert to celebrate our special occasion. Thank you for making it so memorable. We will definitely be back!!! Love the food here, which is not too fancy but always tastes great. Especially appreciative of the extensive gluten free menu, which makes it a real restaurant for Celiacs, not just a "oh let me see what 1-2 dishes I can eat." Wine is also fabulous. And the ambiance is so pretty. Love coming here for a special occasion. One of my favorite places to eat. 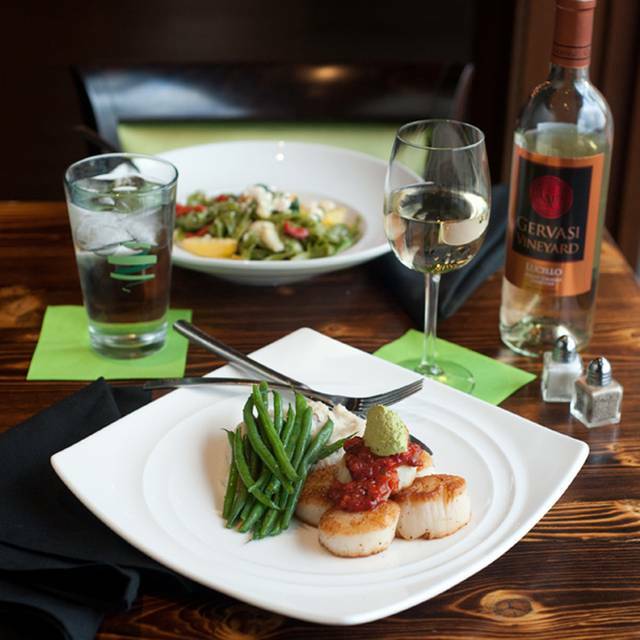 Food is great, atmosphere is great and our server way attentive to our needs! Quality upscale feel with quality food. I would like to see some added variation to the menu. Some items are a little higher in price, but you really are paying for the upscale atmosphere. This was our first time here and we had a fantastic experience. Our waiter was great, the food was delicious, and the atmosphere was quiet and intimate. We were seated in the back area, that seemed to be more private and quiet compared to the open area when you first enter. We were celebrating my mother’s birthday and our waiter was very kind, attentive, and helpful. We had a small food mix up that was quickly fixed. The manager and our waiter went above and beyond to make sure we had an enjoyable night. We are looking forward to coming back soon and highly recommend this restaurant. Very nice atmosphere with friendly, excellent service. Service was very fast and attentive. Food was good. We had salmon and the short ribs. The portions on the short ribs were massive. Very tasty. My wife said the salmon was very well prepared. Great place, very nice atmosphere and amazingly quiet and comfortable considering how busy they were. Server was very nice and attentive. Food was very good, only negative was that the size of appetizer was a little small considering the price. Wonderful service and great as always, we’re having our wedding rehearsal dinner here because of how excellent it is every time we go. Since I’m gluten-free, I’m always looking for a great restaurant that serves gluten-free food. The food was awesome along with the service. Great martinis too! Always enjoy going here, drinks and food are always top notch! 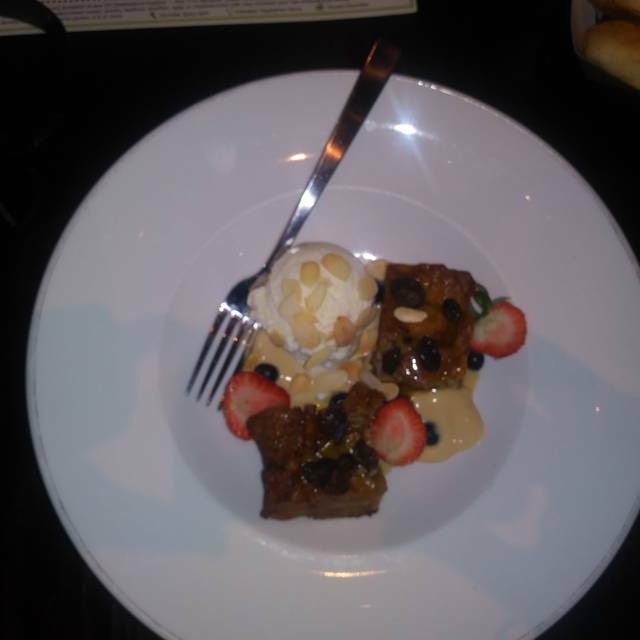 I loved it nice atmosphere good food great service! Food was excellent; waiter was outstanding. Had early dinner reservations and listed window seating as a preference in my reservation. However, we were seated in the back corner with a window behind me showing the brick wall/exterior. Not quite the ambiance I was looking for considering it was the first time brining my husband here and him wanting to see the property. Lots of window seats available. Also the noise coming from the kitchen staff behind the dividing wall was a bit much. The experience was great. It is a bit overpriced, but for a once in the while experience, I would do it again. Love the Lambrusco wine... They will only serve that particular wine in the house. You cannot purchase it to go. Only other thing that kind of didn’t go right… When we made the reservation we asked for a window seat in the main dining room. When the hostess sat us they sat us all the way in the back room, in the room that had nobody else in it but us. We asked them to move us to the main dining room for the ambience of the main dining room. Instead they sat us at the bar. For the money we were paying, and since we did have it in the reservation, we sort of expected to have a window view in the main dining room. This was our anniversary any special dining experience. Other than that the overall experience was excellent. Food was good but cold when we received it. Service was good. Ambiance is always nice. First time guests and it was great. Our server was so personal and fun. Food was awesome and we're already ready to go back. The food was very good. Love the venue. Stated we were there for a special occasion, but were seated in the room downstairs past the steps. Very loud, and so, disappointed in our seating arrangements. Food was as always great. We were seated in the meeting room used for parties instead of the dining room. It would have been great for a meeting but not for a dinner out. My wife and I met with friends for an early dinner. We our table promptly in a side room with a fireplace that made for a warm inviting dining experience. Food was excellent. My girlfriend and I greatly enjoyed our experience. Our server, Jackie, was very pleasant and had our drinks and food brought out promptly. We went downstairs after our dinner for a beer and our server, Maria, was as friendly a waitress as I've ever encountered. The food, drinks, and experience were top notch. We will return. Our waiter Nick was fabulous is recommendations were spot on and we were not disappointed considering this was my wife and I 11th anniversary out together we found a new restaurant we will be back. This is my favorite restaurant! We go out there on special occasions; the last time was to celebrate my retirement! I love the food (never have I not like anything I've ordered!) The atmosphere is very nice, spring, fall winter, summer! And, we've always had very nice waiters/waitresses! 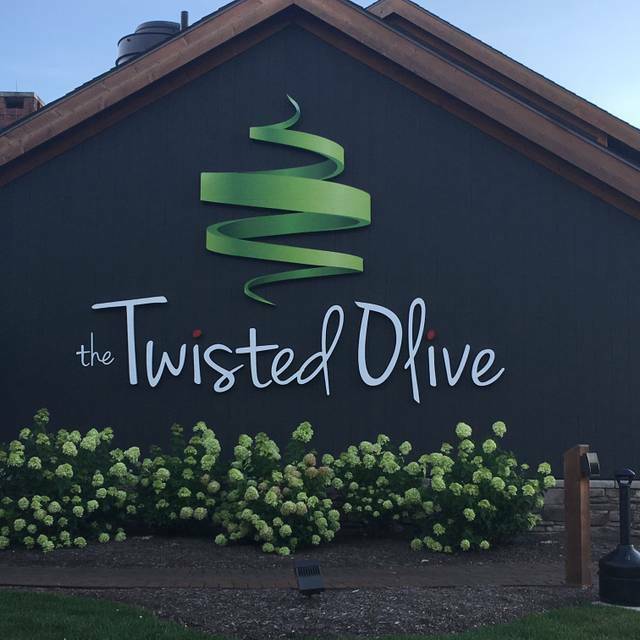 I don't have one bad thing to say about The Twisted Olive! Oh, one more thing! It's clean-looking, including the bathroom! That's the sign of a good restaurant. If the bathroom is dirty at a restaurant, I don't go back! Thank you! 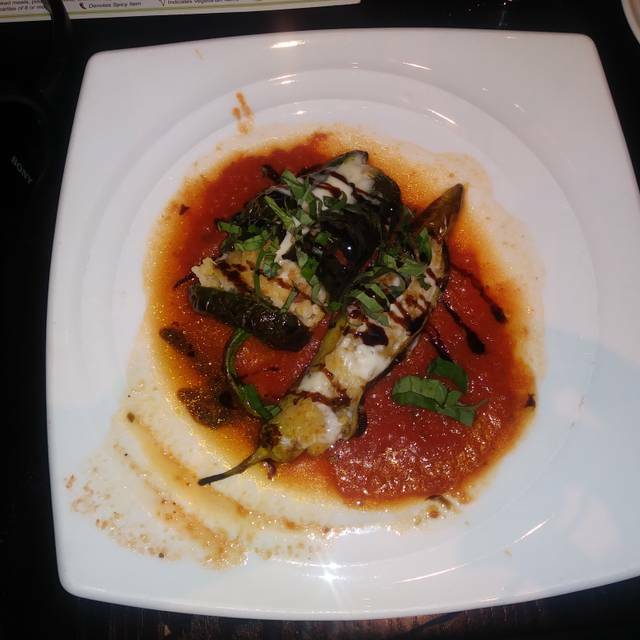 Food was great, atmosphere excellent and probably the best service I've had in years.